Magicwand is compatible with MediaDevil's Magicscreen and Easyscreen screen protector ranges. MediaDevil has the best-selling screen protector brand on Amazon UK. 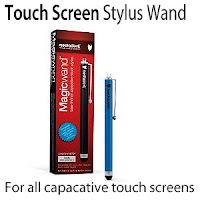 Although engineered for the Apple iPad and Apple iPad 2, Magicwand works with many other capacitive touch screen devices. If you are not using an iPad or an iPhone, to avoid disappointment you MUST view the compatibility list on the MediaDevil website before purchasing, to check whether your device is known to be compatible. Here are some of the most notable models supported by Magicwand (Amazon has set a text limit for this description box), and all other supported models are displayed in the official compatibility list on the MediaDevil website). 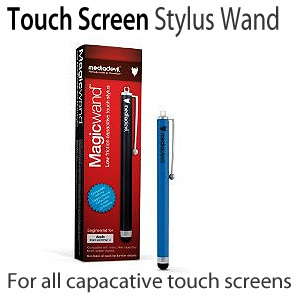 Please Note: Magicwand can only operate capacitive touch screen devices. It will definitely not work with non-capacitive touch screen devices. 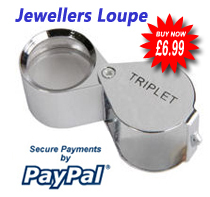 Great product from a great company. The screen saver is excellent very easy to place on I pad done with in 2mins . As for mediadevil great customer service,excellent communication from order to despatch. I wish all companies could handle transactions as quick as mediadevil.